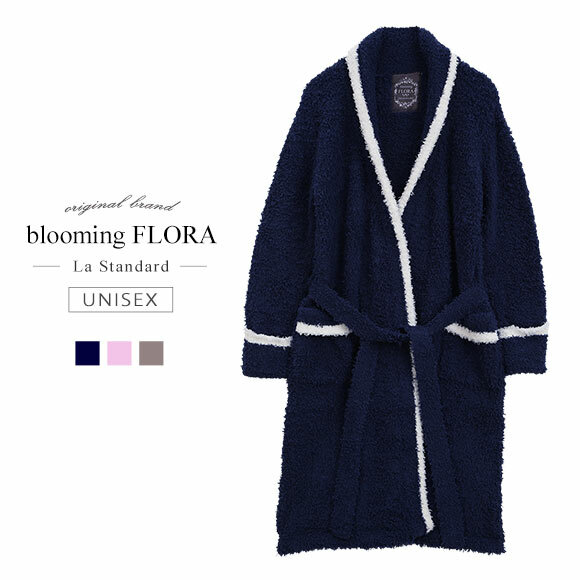 Unisex dressing gown made with soft, warm fabric and inspired by French designs. Gown gives a beautiful silhouette and is finished with a stylish striped design. Useful front pockets are both practical and stylish. Careful placement of the belt and pockets help prevent the fabric from over stretching.Available in light lavender pink, elegant grey and nautical navy. 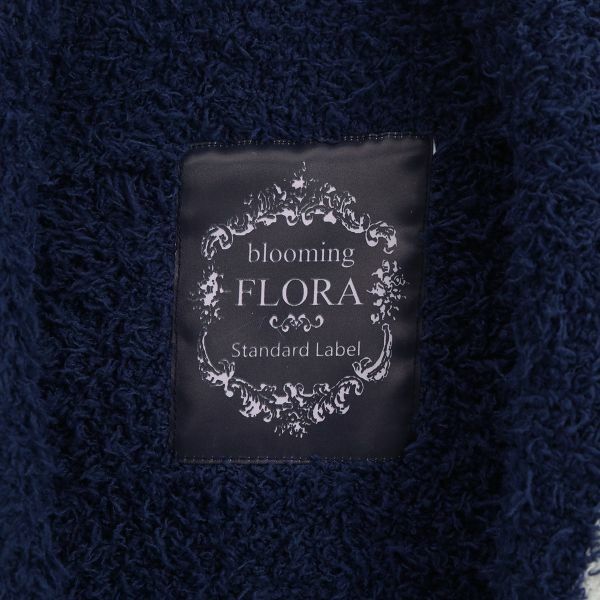 Inside of the gown features the stylish satin Blooming Flora logo. Perfect for wearing throughout autumn to summer. Recommended for couples who enjoy wearing matching clothing. This item would also make a great gift for someone special. *Please note that due to the elasticity of the fabric, measurements may vary slightly to those listed, depending of way of measuring. 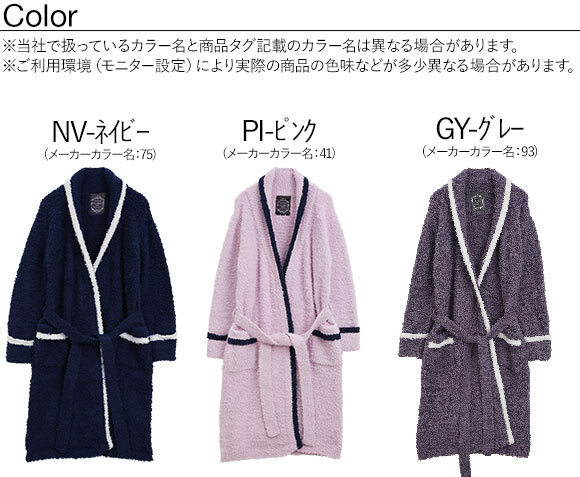 *Color names used by Shirohato and that listed on the product tag may differ. *Depending on your monitor settings, the actual color of the product may differ slightly from that shown on screen. No reviews for this item yet. Because there is a risk of the color bleeding, please wash lights and darks seperately. 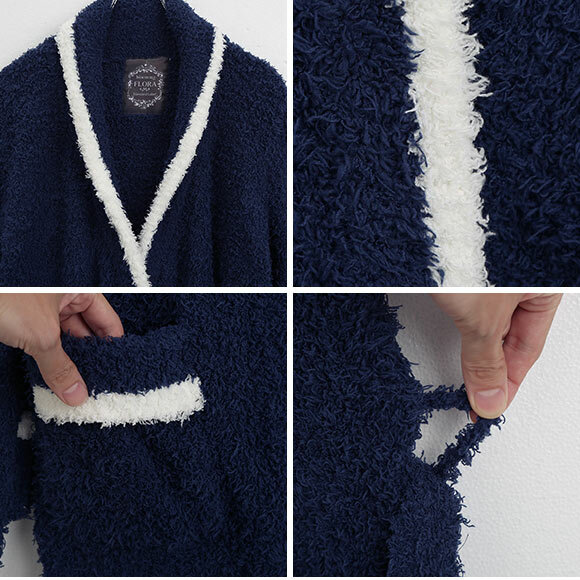 The garment's color may rub off on other clothes when it is wet. Please follow the instructions about Ironing and Washing. The actual color of the product may differ slightly from the color on the screen. 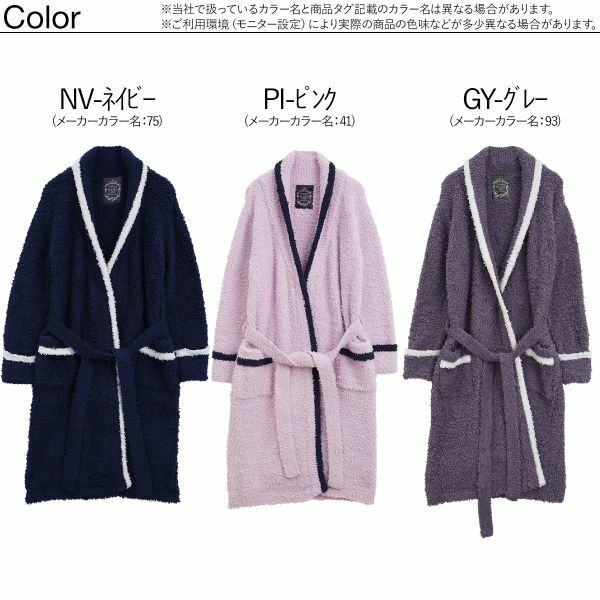 Sometimes the name of the color of the product listed online and the color listed on the product tag is different. 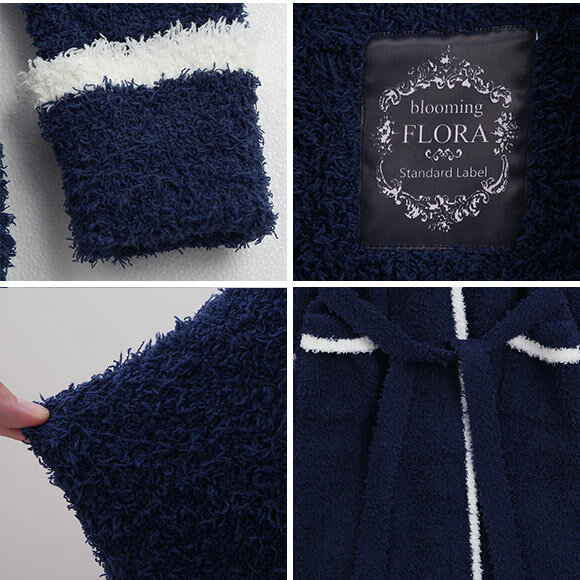 Because we measure our products while they are laid flat, there may be some slight differences depending on the material and elasticity of the cloth. 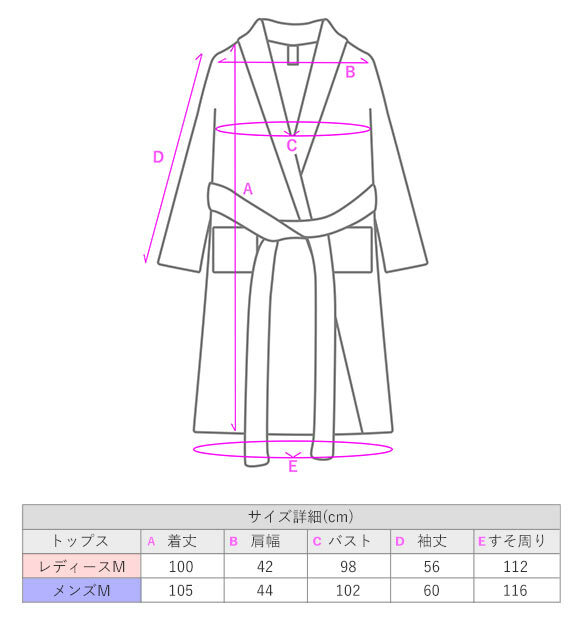 This size chart is based on Japanese size and it is approximate. Please note that the acutual dimensions of the products may slightly vary. The size of the girdle is based on the waist, so if there is no size that fits both the waist and the hip, please choose based on hip size.